Christmas time always seems to be a busy time of year. Here are two quick and festive recipes that I like to make when I am short on time during the holidays. Pour your batter into a greased pan, use a spatula to level the batter. I used an 8×8 pan and baked for about 20 minutes. Once baked remove from oven and let it set to cool. After your brownie and cooled, cut into desired shape and size, and serve. 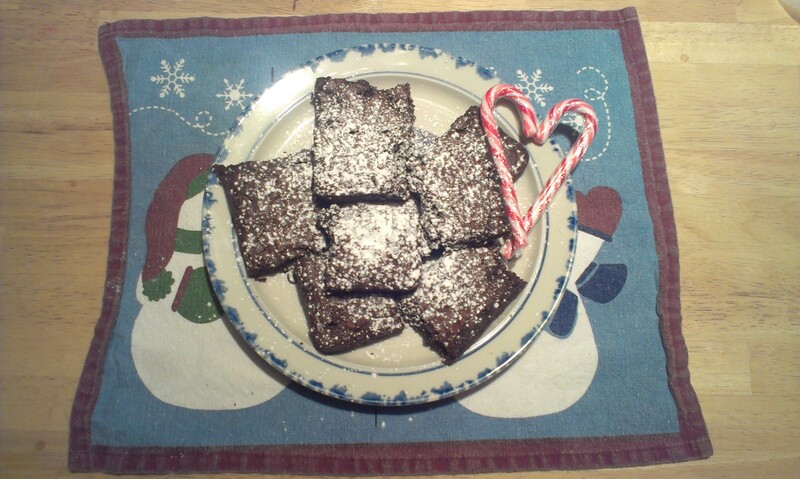 I sprinkled a little powdered sugar over the top of my brownies for a little decoration. Eat. Enjoy. 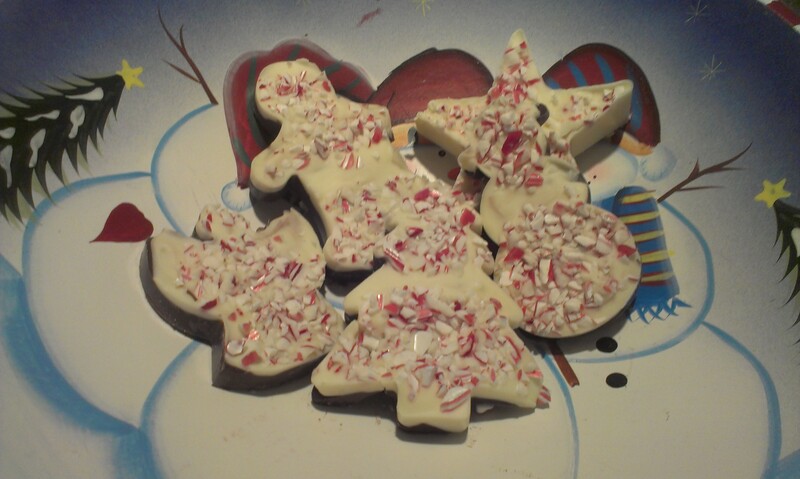 Peppermint bark is simple and quick recipe to make which is perhaps why it is a classic Christmas treat. First, buy your favorite melting chocolate of choice. 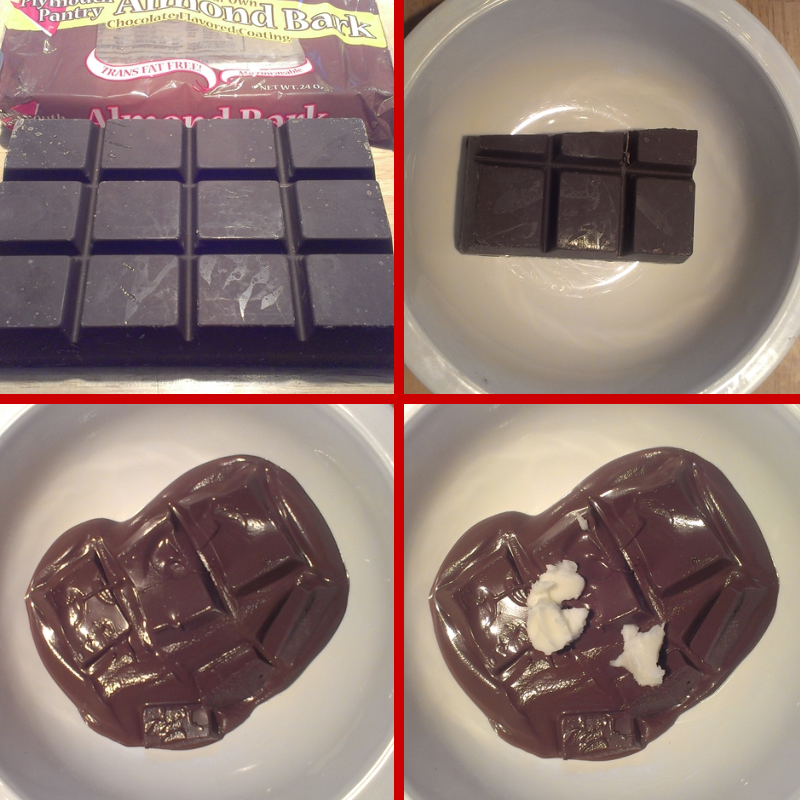 Start with 3-4 cubes of milk chocolate and put it in a microwave safe bowl, heat for 30-60 seconds. 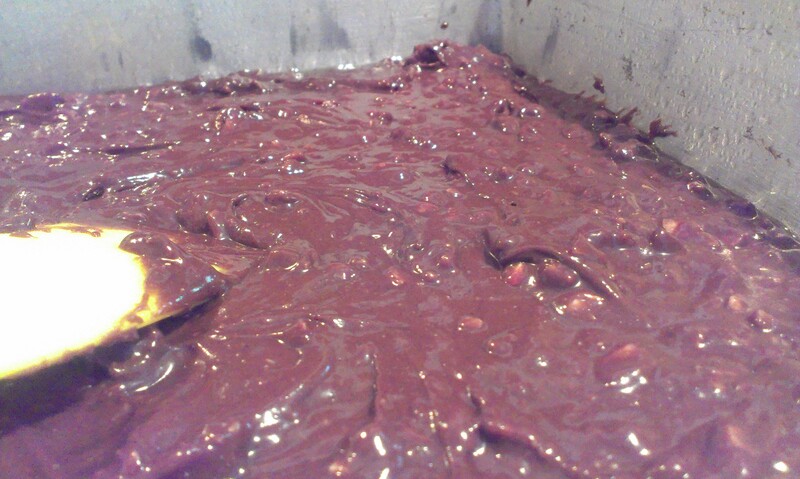 If the chocolate is not melted completely until smooth, heat in 15 second intervals. I personally like to add a little bit of Crisco and peppermint oil (seen in lower right of photo) and mix with the melted chocolate. The small amount of Crisco doesn’t change the flavor and it keeps it melted a little bit longer to work with it. Now comes the fun part! If you would like to make shapes out of the Peppermint bark find your favorite holiday cookie cutters, otherwise you can simply use a jellyroll pan. 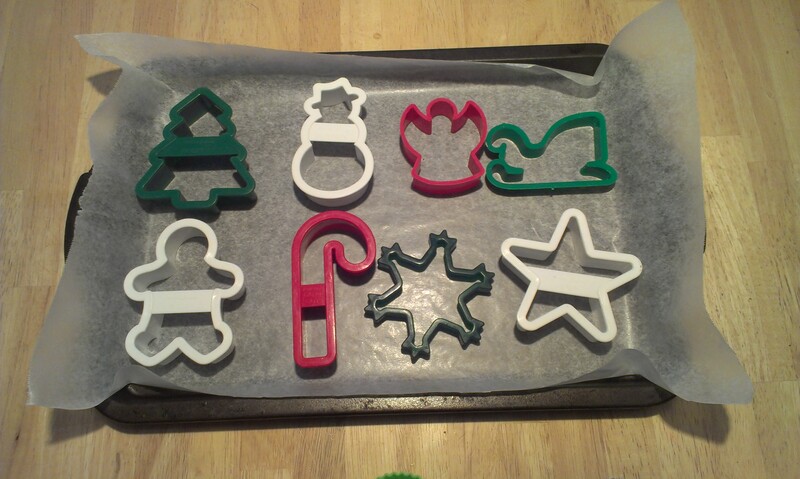 Lay out a piece of wax paper and arrange your cookie cutters any way you like. 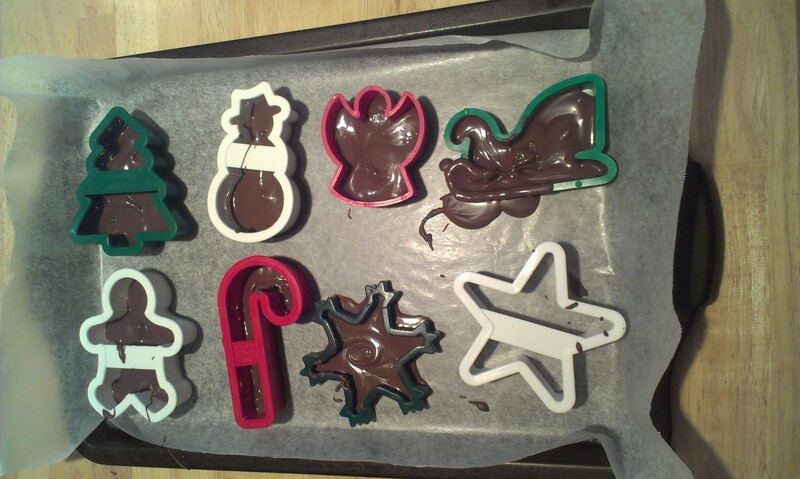 Pour the chocolate into the cookie cutters carefully. I did not do it as carefully and my sled seemed to explode. I also would recommend not using a sled shaped like mine seeing as it is hard to fill and get out once you are done filling it. Use your judgment on how thick this layer is, keep in mind you will have another layer of chocolate. Using a toothpick (or anything like that shape) swirl the chocolate around in the cookie cutters to fill every nook and cranny. Doing this, will smooth out the chocolate layer automatically. Let it sit to get firm, or put in refrigerator for faster results. Now, repeat the above steps for the vanilla chocolate. 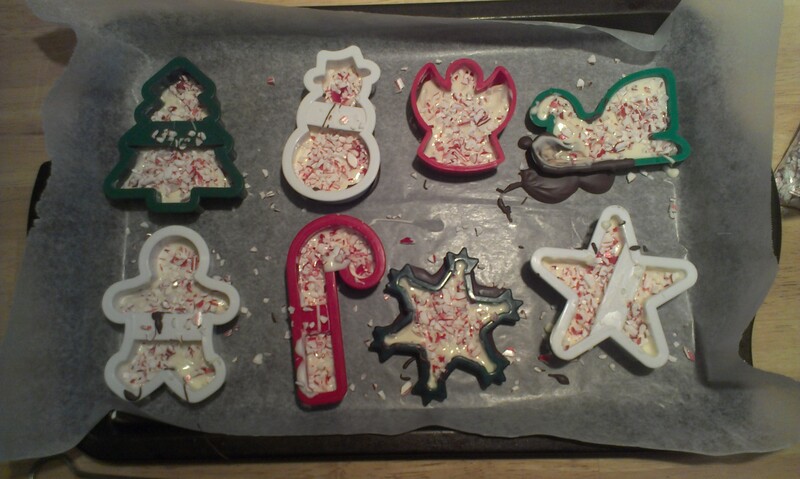 After you melt and pour the vanilla chocolate into the cookie cutters, smooth over with toothpick again. 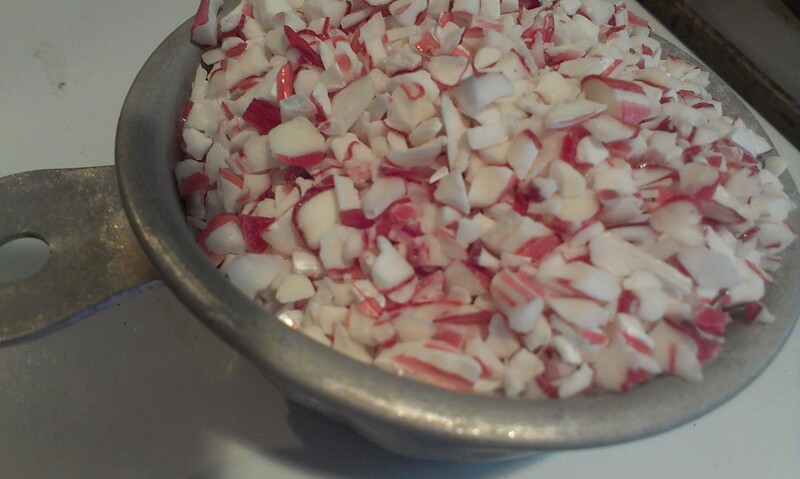 Sprinkle crushed Peppermint Candy Canes on the semi-melted layer of vanilla chocolate. I bought mine already crushed but you can crush them yourselves. Let the final layer harden completely before removing from your shapes. At this point, if you just did the jellyroll pan, break the slab of chocolate that has hardened into pieces. Eat. Enjoy. Please let me know if you liked these quick recipes. Did you make any alterations? Do you have another recipe that would fit along with these two?